Hello! 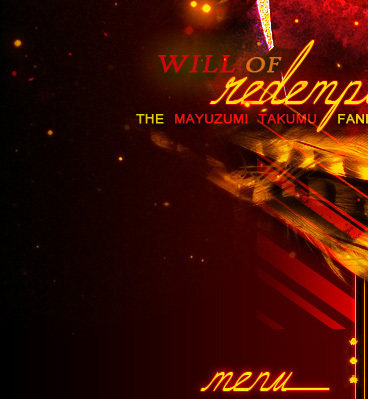 Welcome to "Will of Redemption", the TAFL and the TFL approved fanlisting dedicated to Mayuzumi Takumu , an amazing character from the series Accel World, written by the great Kuwahara Reki and illustrated by the talented HiMA! Taku is my favorite character from the series, but I have to admit that my love for him has born after the revelation of his real personality. Taku is a Burst Link user like Haruyuki and Kuroyukihime, and his nickname into the game is Cyan Pile. His continuously efforts to challenge Black Lotus lead him to face Haruyuki in a fight in which he showed his real personality. Cinic, avenger and calculator, Taku fighted him with all himself, because he wanted to prove that he would be better than Haruyuki not just in the real life, but in the Accel World too. Haruyuki defeats him and his pride, suggesting to his best friend to be his partner and to fight together with him. He continues to be a proud and cinic person but now he's really royal, and not just towards Haruyuki, but towards himself. Please, choose a link from the right to fully access the site, and if you're a fan of Taku, feel free to join his fandom! site and I don't intend to violate them. 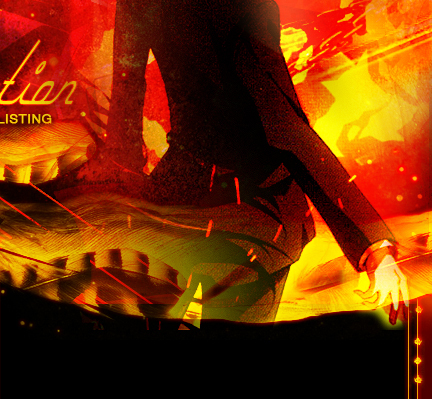 Layout & contents are ©Dorothy.